Many people might agree that the name Canon has always meant photographic and broadcast television lenses with optical excellence, as well as advanced image processing, and superb performance. 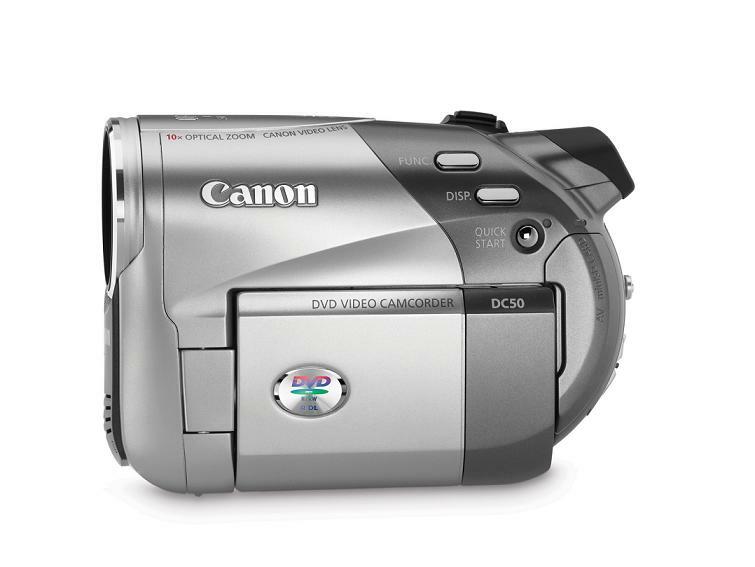 In fact, Canon digital video camcorders are no exception as well. 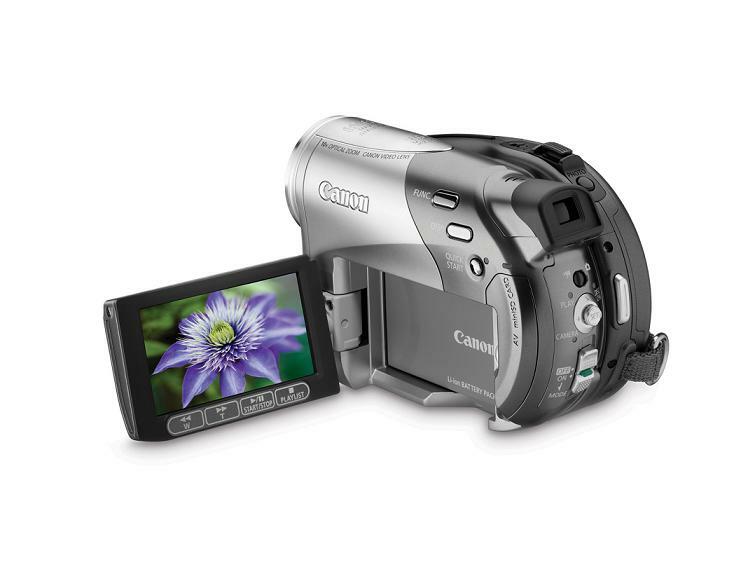 Canon digital camcorders include a family of sophisticated and powerful DVD camcorders. The Canon DC50 is one of them. The DC50 DVD Camcorder can shoot rudimentary video and also take a shot at producing passable photographs. It incorporates a robust 5.39 Megapixel CCD Image Sensor with an RGB Primary Color Filter that provides vibrantly colored video and brilliant quality photos. This sensor is equal in resolution to that of some mid-range cameras, and is actually bigger than those used by some photojournalists just year or so ago. 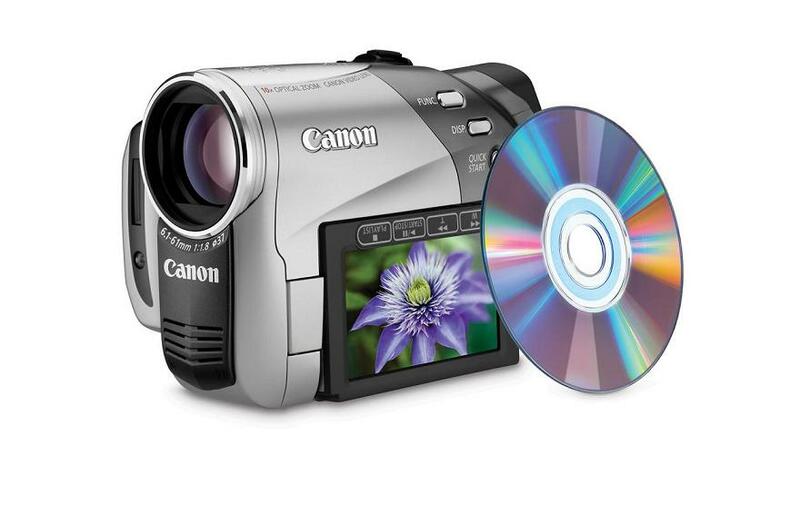 Combined with the range of optical advantages and technological advances beginning with its high quality, genuine Canon 10x optical / 200x digital zoom lens, the DC50 DVD Camcorder delivers the stellar image quality resulting from Canon’s experience and heritage as an optics company. The zoom lens on the DC50 DVD Camcorder goes beyond simply drawing the far off subject close in and bringing the distant vista near. With Canon’s smooth zoom control, the user can select one of three steady zoom speeds that maintain their constancy regardless of how hard the user presses on the zoom button. Canon DC50 also using a new processing chip Digic DVII. Digic. Digic DVII is the brains behind the dual purpose Canon DC50 DVD Camcorder. The DIGIC DV II image processor is the next generation of Canon’s exclusive signal processing technology. In addition to recognizing the different color requirements of video and photos, and processing both to their optimal level of quality, DIGIC DV II processes video with improved color reproduction and dramatically reduces noise in low-light situations. The DC50, which will be available later by March, has both a built-in flash and video light. It can record still and moving images simultaneously onto three-inch DVDs, including dual layer ones for added capacity, and a MiniSD-size camera card. The new Camcorder carries an estimated selling price of $799. – (single sided/single layer: 1.4GB) XP: 20min., SP: 30min., LP: 60min. – (single sided/dual layer: 2.6GB) XP: 36min., SP. 54min., LP: 108min. Also read the features from Canon.